See scan - perfect condition. 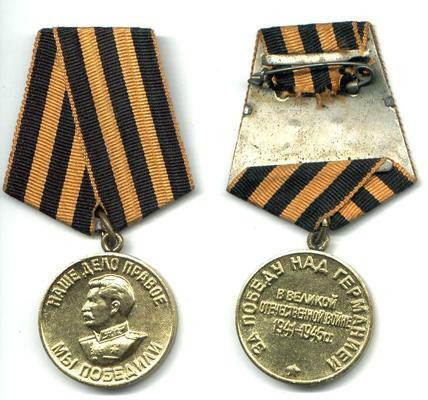 This is a nice Soviet Russian / USSR socialist / communist era WWII campaign medal for the Victory over Germany - 1st issue. Established 9 May 1945. Awarded to all servicemen of the Soviet Army, Navy, Ministry of Internal Affairs Troops (MVD), State Security Committee Troops (KGB) and employed civilians ( such as in military administration departments, military warehouses, etc. ) who participated in the battles of the Great Patriotic War (WWII). Required was a length of service of 3 months for servicemen and 6 months for employed civilians. It is made of brass. Approximately 14,900,000 were issued. 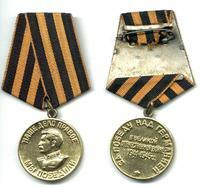 Nice militaria / military collector piece and one of the nice Russian medals.